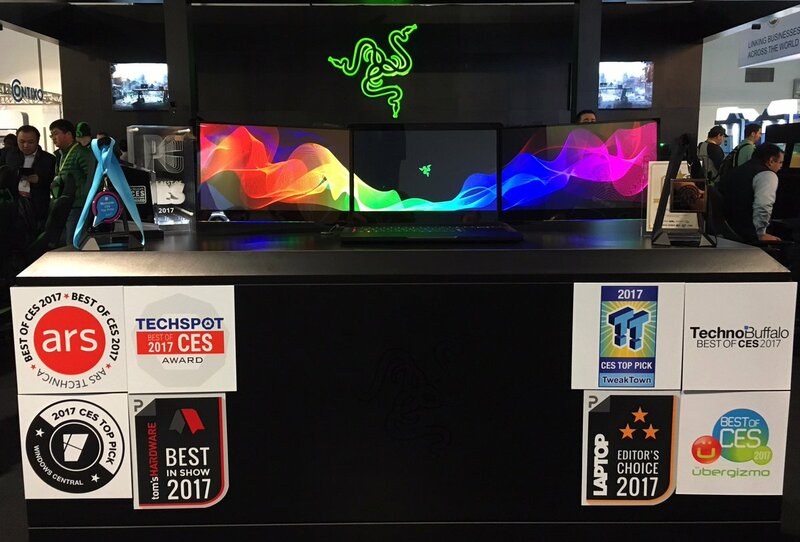 Razer’s Project Valerie was among the most talked-about products at last month’s Consumer Electronics Show. In fact, the triple-screen notebook was apparently so impressive that someone stole two of the company’s prototypes, shipped them off to China and put them up for sale for more than $20,000 each but that’s a story for another time. It’s unclear if Razer plans to develop the prototype into an actual product. If they do, it’ll no doubt be expensive and if not, well, you’ll never have the opportunity to own it… unless you build your own version which is exactly what YouTube channel JerryRigEverything recently did. As you’ll see in the clip above, the modder used a pair of 16-inch portable AOC monitors and attached them to a laptop using good ole epoxy and what appears to be standard door hinges. The displays receive power and video via a single USB 3.0 cable that plugs into the laptop and using the hinges, fold out when needed. It certainly isn’t nearly as pretty as Project Valerie (those displays slide out instead of fold out) and at a maximum resolution of only 1,366 x 768 pixels and with a response time of 8ms, the displays aren’t nearly as nice as the 4K displays Razer uses. Then again, this is much cheaper (the screens are less than $100 each) and readily available so long as you are prepared to permanently adhere the hinges to your laptop.